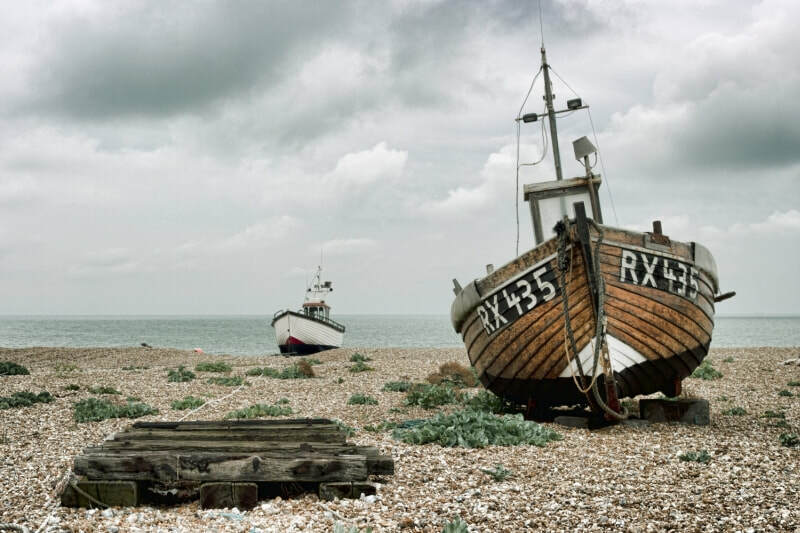 ​It's probably become a bit of a cliché for photographers to head down to Dungeness for a days shooting. 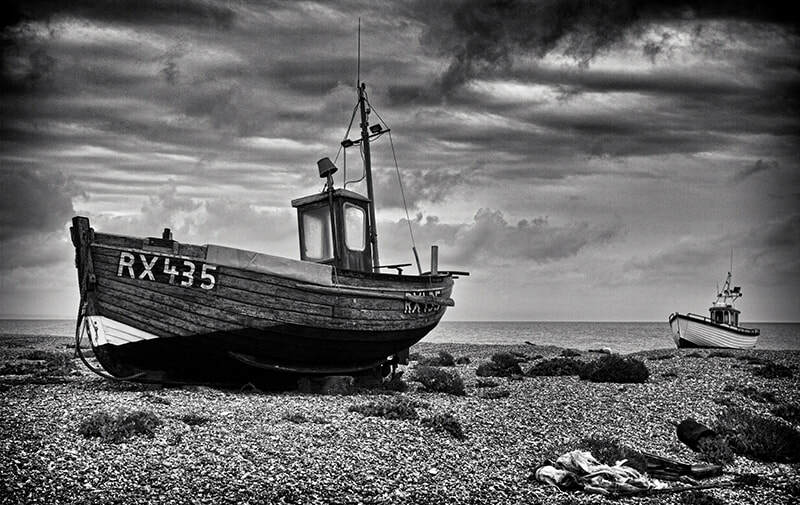 When my wife told a guy from the same village as us, who's also a keen photographer, that I was away in Kent, England he apparently rolled his eyes skyward; he knew exactly where I had gone. But this boat graveyard really is a special place. Not exactly "England's only desert" as described by the ever-hyperbolic 'Daily Mail' a couple of years ago, but certainly one of its most unique and atmospheric, quiet and unromantically beautiful places. It's hard to imagine from these images that just a kilometre or so to the right as you look out at sea, there's a godawful ugly concrete nuclear power station. 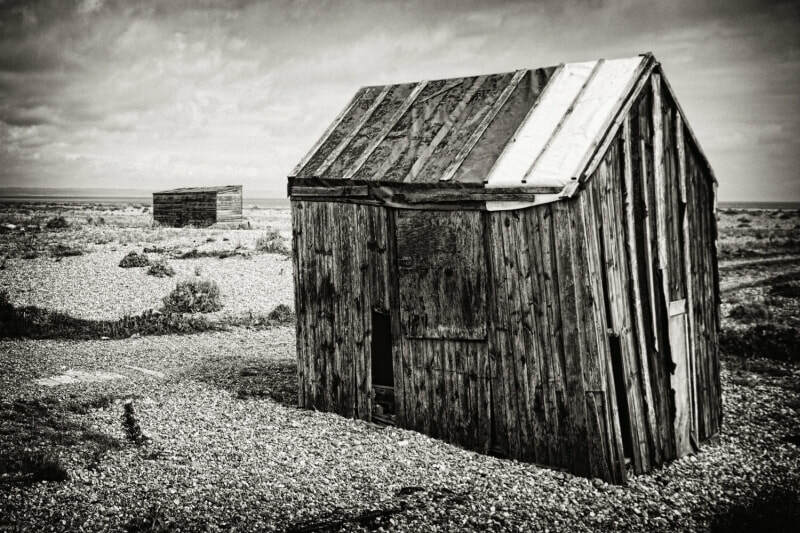 I'm told that a million people a year visit Dungeness. If so, they must all go together in summer. 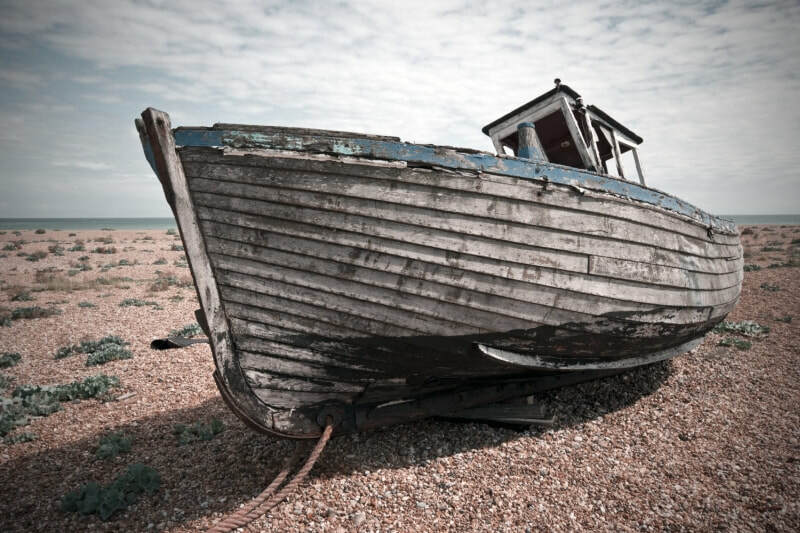 The crunch of my feet on the shingle and the squeal of seagulls was all I heard in March. I was fortunate enough to get an appropriate mackerel sky on one of the days I visited but I would have eagerly traded that for one the famous mists that drift in from the sea. That would really add to the eeriness. Maybe it'll happen next time I go all clichéd. Meanwhile, here's some images. 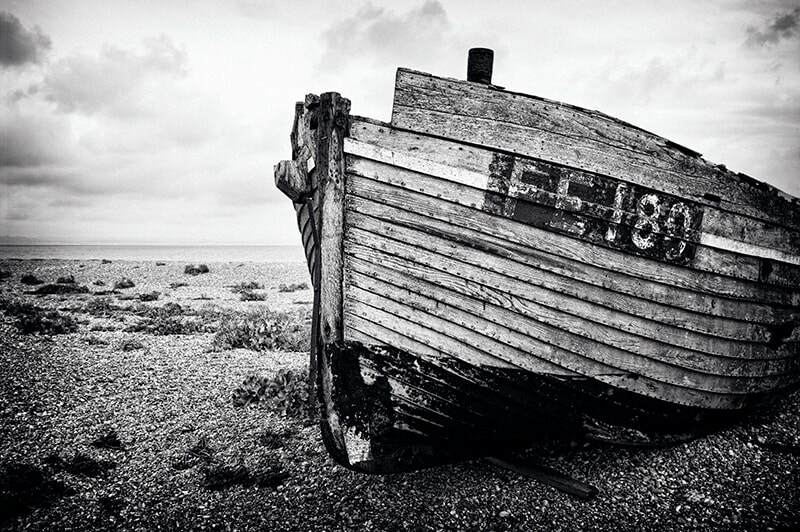 ​All original images and written content are copyright © Gary Hill 2012. All rights reserved. Not in public domain. If you wish to use my work for anything other than legal 'fair use' (i.e., non-profit educational or scholarly research or critique purposes) please contact me for permission first.